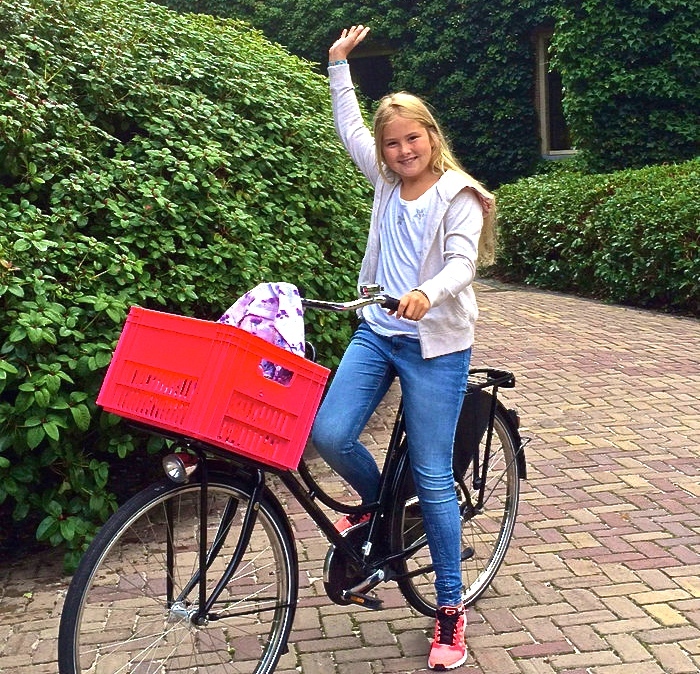 Dutch Princess Bicycles to School – 30% of Hollanders Cycle-Commute. Eleven year old Catharina-Amalia, Princess of Orange and heir apparent to the throne of the Kingdom of the Netherlands, helps the environment by cycling to school, at least on the first day. Her father, King Willem-Alexander, filmed the start of the ride and like proud parents everywhere on August 24 posted the video on Facebook. Bicycle commuting is essentially 100% pollution free and “nearly 30 percent of Dutch commuters always travel by bicycle, and an additional 40 percent sometimes bike to work,” according to the Worldwatch Institute. Statistics about how many princesses bike to school don’t seem to be available. Amsterdam, Utrecht, and Eindhoven all in the Netherlands, are the second, third, and fifth most bicycle-friendly cities in the world, according to Copenhagenzine’s 2015 Bicycle-Friendly City Index. Buenos Aires, Argentina; Minneapolis, USA; and Montreal, Canada are the only locations from outside the EU included in the top twenty cities that the index reports. In spite of, or perhaps because of, the high rate of bicycle ridership in the Netherlands, it appears to have one of the lowest bike-accident-fatality rates in the world. The Worldwatch Institute reports that from 2002 to 2005 on average there was only one Dutch fatality per every 100 million kilometers cycled. Cycling fatality rates in the UK and U.S. were 3.6 and 5.8 respectively.